Team Fortress 2 (TF2) is a team-based multiplayer first-person shooter video game developed and published by Valve Corporation. It is the sequel to the 1996 mod Team Fortress for Quake and its 1999 remake, Team Fortress Classic. It was released as part of the video game bundle The Orange Box in October 2007 for Microsoft Windows and the Xbox 360. A PlayStation 3 version followed in December 2007. The game was released for Windows as a standalone entry in April 2008 and was updated to support OS X in June 2010 and Linux in February 2013. It is distributed online through Valve's digital retailer Steam, with retail distribution being handled by Electronic Arts. In Team Fortress 2, players join one of two teams comprising nine character classes, battling in a variety of game modes including capture the flag and king of the hill. The development is led by John Cook and Robin Walker, creators of the original Team Fortress. Announced in 1998, the game once had more realistic, militaristic visuals and gameplay, but this changed over the protracted nine-year development. After Valve released no information for six years, Team Fortress 2 regularly featured in Wired News' annual vaporware list among other ignominies. The finished Team Fortress 2 has cartoon-like visuals influenced by the art of J. C. Leyendecker, Dean Cornwell, and Norman Rockwell, and uses Valve's Source game engine. Team Fortress 2 received critical acclaim for its art direction, gameplay, humor, and use of character in a multiplayer-only game. Valve continues to release new content, including maps, items, and game modes, as well as community-made updates and contributed content. In June 2011, it became free-to-play, supported by microtransactions for in-game cosmetics. A 'drop system' was also added and refined, allowing free-to-play users to periodically receive game equipment and items by use of a random number generator. Though the game had an unofficial competitive scene for many years, support for official competitive play through ranked matchmaking and an overhauled casual experience was added in July 2016. A group of RED players attack a BLU base on the map "cp_well"
Team Fortress 2 has similar gameplay to previous releases in the series due to its focus on two opposing teams competing for a combat-based objective. In the game's fiction, the teams are composed of mercenaries hired by two feuding brothers to protect the company assets belonging to one brother while trying to destroy those of the other; the teams are thus represented by the names of these companies: Reliable Excavation & Demolition (RED) and Builders League United (BLU). Players can choose to play as one of nine character classes in these teams, each with his own unique strengths, weaknesses, and weapons. In order to accomplish objectives efficiently, a balance of these classes is required due to how these strengths and weaknesses interact with each other in a team-based environment. Although the abilities of a number of classes have changed from earlier Team Fortress incarnations, the basic elements of each class have remained, that being one primary weapon, one secondary weapon, and one melee weapon. The game was released with six official maps, although over 100 maps have since been included in subsequent updates, including competitive remakes of older maps and community-assembled maps. When players join a level for the first time, an introductory video shows how to complete its objectives. During matches, the "Administrator", a woman voiced by Ellen McLain, announces various game events over loudspeakers. The player limit is 16 on the Xbox 360 and PlayStation 3. On the PC, in 2008 Valve updated the game to include a server variable that allows up to 32 players. Team Fortress 2 is the first of Valve's multiplayer games to provide detailed statistics for individual players. They include: time spent playing as each class, most points obtained, and the most captures or objectives achieved in a single life. Persistent statistics tell the player how he or she is improving in relation to these statistics, such as if a player comes close to his or her record for the damage inflicted in a round. Team Fortress 2 also features numerous "achievements" for carrying out certain tasks, such as scoring a certain number of kills or completing a round within a certain time. New sets of class-specific achievements have been added in updates, which add new abilities and weapons to each class once unlocked by the player. This unlockable system has since been expanded into a random-chance system, where the player can also obtain the items simply by playing the game. Team Fortress 2 contains many core game modes. These include Capture the Flag where the BLU and RED teams fight to steal each other's intelligence (represented in game as a briefcase) and return it to their base. At the same time, each team must defend their own intelligence. When the intelligence is dropped because of the player dying or manually dropping it, the intelligence will stay on the ground for 1 minute and return to its original location, or until picked up again by an enemy player. The intelligence can only be picked up by the opposing team. The first team to capture the intelligence three times wins. Control Points is a game mode where there are several control points laid around the map, typically 3 or 5. For a team to win they must capture all the control points within the time limit. The time limit is reset on the capture of a control point by either team. Attack/Defend consists of the BLU team attempting to capture all of RED team's capture points within a time limit. RED cannot recapture a point after BLU has captured it. Another core game mode like Attack/Defend is Payload, where BLU team must push a cart containing a bomb through all of RED team's checkpoints within a time limit, and this time limit is extended upon BLU capturing a checkpoint. The BLU team wins by pushing the bomb cart to the last checkpoint, while RED team wins upon defending until the time limit runs out. King of the Hill is another core game mode, that contains a single control point that can be captured by both RED and BLU teams. Upon the capture of the control point, a team specific counter starts counting down and stops upon being captured by the opposing team. The first teams' timer to finish counting down wins. There are also several alternate game modes within Team Fortress 2. Payload Race, like Payload, both RED and BLU teams push a team-colored cart to a checkpoint, unlike Payload there is only one checkpoint at the end of the track and no timer. The team to reach their checkpoint first wins. Territory Control consists of several capture points spread out across a single map. Like Control Point each point can be captured by either the RED or BLU teams. Unlike Control Point only two points are accessible at a single time, upon a team's successful capture of a point the "stage" ends and the accessible capture points change. When a team only has control of a single control point they are blocked from capturing the opposing team's control point, and the team must wait until the time limit is up and the accessible capture points change. A team wins by capturing all the control points. Special Delivery is like Capture the Flag, but there is only one briefcase that can initially be picked up by either RED or BLU team, upon a team picking up the briefcase the opposing team is now unable to pick the briefcase up until it has stayed on the ground for 45 seconds and returned to its original location. A team wins by holding the briefcase on a loading platform until they reach the top of the platform. Arena is a special game mode where players do not re-spawn upon death, and to win must eliminate the enemy team, or after a duration, a capture point opens, that upon capture will win the game. Mannpower is another game mode like Capture the Flag where players have access to a grappling hook and an assortment of power-ups laid around the map that gives players unique abilities. Player Destruction is a unique game mode whereupon a player's death a pickup (varies depending on the map) is dropped. To win a team must deliver a set number of pickups to the drop-off point. The player on each team with the most pickups is highlighted for everyone to see and gives passive healing to themselves and the teammates around them. PASS Time is a unique game mode inspired by rugby, developed by Valve, Bad Robot Interactive, and Escalation Studios. To win each team must score 5 goals or have the most number of goals at the end of the timer. To score a goal, a single ball, the "jack", can be picked up and thrown. Medieval is a variation on the Attack/Defend game mode where players weapons are limited to all melee weapons and other weapons that fit the medieval theme. Mann vs Machine (MvM) is a cooperative game mode where must defend their base from waves of robots, that look like all the nine playable classes, and slow-moving tanks carting bombs. Robots and tanks drop cash upon their death, players can use this cash to buy upgrades for themselves or their weapons. The players win upon successfully defending their base from the bomb until the last wave. A paid version of this game mode called "Mann up" is also available where players buy tickets to play "Tours" with the chance to win unique cosmetics and weapon re-skins upon completion. There also exists a Training mode and a Practice mode. Training mode exists to help new players get acquainted with basic controls, and how to play four of the nine classes. It uses wood dummies and bots to teach players. The Practice mode is just like any other multiplayer match, but only consists of the player and bots. The number of bots, their difficulty, and the map can all be adjusted to a player's preference. Since 2009, there is typically also a Halloween-themed variation on one or more of the above modes during the weeks around the holiday, with maps or modes updated to include themed decorations and often a more difficult challenge to the players. For example, Halloween 2012 included an extremely difficult Mann vs. Machine round involving destroying more than 800 enemy forces. Due to popular demand of the Halloween events, Valve added Full Moon, the ability to play these events on the few days around the full moon throughout the year, and later Eternaween, the ability for players to vote to play the themed-events for a two-hour block at any other time. Team Fortress 2 features nine playable classes, categorized into the roles "Offense", "Defense", and "Support". Each class has strengths and weaknesses and must work with other classes to be efficient, encouraging strategy and teamwork. Each class has at least three weapons: a unique primary weapon, a common or unique secondary weapon, and a unique melee weapon. The Scout (Nathan Vetterlein) is a cocky, fast-talking baseball fan and street runner from Boston, Massachusetts, who practiced running to "beat his maddog siblings to the fray." He is a fast, agile character, who is armed by default with a scattergun, a pistol, and an aluminum baseball bat. The Scout can double-jump and captures control points and pushes payloads twice as fast as other classes. As a tradeoff, he has low health. The Soldier (Rick May) is both the second-slowest class in the game and the class with the second-highest health (after the Heavy Weapons Guy). A jingoistic American military man hailing from the Midwest (despite the fact that he was never actually in the Army), the Soldier is armed by default with a rocket launcher, shotgun, and a folding shovel. The Soldier can use his rocket launcher to rocket jump to higher positions at the cost of some health. The Pyro (Dennis Bateman) is a mentally unstable pyromaniac of unknown gender or origin, clad in a fire-retardant suit and a voice-muffling gas mask. By default, they are armed with a shotgun, fire axe, and a homemade flamethrower that can set players on fire. It can also produce a blast of compressed air that knocks away nearby enemies and projectiles, and extinguishes burning teammates. The Demoman (Gary Schwartz) is a black, one-eyed, alcoholic Scotsman from Ullapool. Armed by default with a glass bottle of scrumpy, and grenade and sticky bomb launchers, the Demoman can use his explosives to provide indirect fire and set traps. The Demoman, much like the Soldier with his rocket launcher, is capable of using his Stickybomb Launcher to "sticky jump" at the cost of some health. The Heavy Weapons Guy, or simply the Heavy, (Gary Schwartz) is a large Russian from the Dzhugdzhur Mountains of the USSR, heavy in stature and accent, and obsessed with firepower. Though he is the slowest class, he can sustain and deal immense amounts of damage. His default weapons consist of his fists, a shotgun, and an enormous minigun that he affectionately refers to as "Sasha". According to himself, it costs $400,000 to fire his weapon for twelve seconds. The Engineer (Grant Goodeve) is a relaxed and intellectual "good ol' boy" from Bee Cave, Texas. The Engineer can build structures to support his team: a sentry gun for defending key points, a health and ammunition dispenser, and a pair of teleporter entrance and exit. By default, he is armed with a standard shotgun, a pistol, and a wrench that is also used to repair, upgrade, and speed up construction of his and fellow Engineers' buildings (and a Construction PDA to build them). He can also remotely destroy his structures using his Destruction PDA. The Medic (Robin Atkin Downes) is a German doctor from Stuttgart with little regard for the Hippocratic Oath. The Medic's "Medigun" heals teammates and gradually builds "ÜberCharge"; on activation, the ÜberCharge grants boosts ranging from temporary invulnerability to the Medic and patient to guaranteed "critical hits" (tripled damage that ignores distance penalties) for their weapon granted to the patient, depending on which Medigun is selected. By default, the Medic is also equipped with an air-powered syringe gun and bonesaw for situations in which his teammates don't protect him. He keeps doves as pets, one of which is named Archimedes. In a TF2 short, it is discovered that a dove is accidentally left inside the Scout's body. Because of this, when a scout dies by an explosion and is dismembered (also called gibbing), there is a 1/100 chance that a bird will fly out of his corpse. The Sniper (John Patrick Lowrie) is a cheerful New Zealand ocker-style character raised in the Australian outback, equipped by default with a laser-sighted sniper rifle to shoot enemies from afar (as his weapon has no damage falloff or spread) with guaranteed critical hits on a shot to an enemy's head (though this may not be the case, depending on the rifle selected). By default, he also carries a submachine gun and a kukri for close combat. The Spy (Dennis Bateman) is a French double agent equipped with covert tools, including a cloaking device disguised as a watch, an electronic sapper used to sabotage and potentially destroy enemy Engineers' buildings, and a device hidden in his cigarette case that enables him to disguise as enemy players. Armed by default with a revolver, the Spy can also use his butterfly knife to stab enemies in the back or sides (known as a backstab), which instantly kills them (unless the enemy has an invincibility effect on them, such as the Bonk! Atomic Punch or the Medic's ÜberCharge, or a backstab-denying item, such as the Razorback). Other characters include the Administrator (voiced by Ellen McLain), an unseen announcer who provides information about time limits and objectives to players, and her assistant, Miss Pauling (Ashly Burch). The cast has expanded with Halloween updates, including the characters of Merasmus, the Bombinomicon, the Horseless Headless Horsemann, Monoculus, and the Mann Brothers (all voiced by Nolan North). In the video announcement for the "Jungle Inferno" update, Mann Co. CEO Saxton Hale is voiced by JB Blanc. Team Fortress 2 is played competitively, through multiple leagues. The North American league, ESEA, supports a paid Team Fortress 2 league, with $42,000 in prizes for the top teams in 2017. Team Fortress 2 is played competitively in one of three primary game modes: Highlander (nine players per team, one of each class), 6v6 (usually in teams consisting of two Scouts, two Soldiers, one Demoman, and one Medic with the other classes used as alternatives in certain situations), or 4v4 (one Scout, one Soldier, one Demoman, and one Medic, with other classes, used more often than 6v6). While formalized competitive gameplay is very different from normal Team Fortress 2, it offers an environment with a much higher level of teamwork than in public servers (also known as "pubs"). Prolander teams also exist which are 7v7 matches except with only one of each class allowed at one time. Most teams use a voice chat to communicate, and use a combination of strategy, communication, and aiming ability to win against other teams. Community-run competitive leagues also tend to feature an item ban list, as well as the removal of randomized critical hits, in order to speed up gameplay and to remove unbalanced or game-breaking elements from matches. Many competitive leagues also award in-game medals and player honors, which are submitted via the Steam Workshop and approved by Valve. In February 2016, Valve announced that a dedicated competitive mode would be added to Team Fortress 2, utilizing skill-based matchmaking; closed beta testing began that month. The competitive mode was added in the "Meet Your Match" update, released on July 7, 2016. Ranked matches are played six-vs-six, with players ranked in eighteen tiers based on win/losses and an assessment of their skills. Ranked matchmaking will balance players based on their tiers. A similar matchmaking approach has been added for casual games for matches of 12-vs-12 players. A separate ranking used for matchmaking in casual games can be increased by experience points earned in-game, scaling with in-match performance. In order to join competitive matchmaking, players must have associated their Steam account with the Steam Guard Mobile Authenticator, as well as having a Team Fortress 2 "premium account", which is unlocked by either having bought the game before it went free-to-play or by having made an in-game item purchase since. The original Team Fortress was developed by Robin Walker and John Cook as a free mod for the 1996 PC game Quake. In 1998, Walker and Cook were employed by Valve Corporation, which had just released its first game, Half-Life. They and Valve began developing Team Fortress 2 as a standalone retail game using Valve's GoldSrc engine. In 1999, Valve released Team Fortress Classic, a port of the original Team Fortress, as a free Half-Life mod. Team Fortress Classic was developed using the publicly available Half-Life software development kit as an example to the community and industry of its flexibility. In contrast to the original Team Fortress, Valve originally planned Team Fortress 2 to have a modern war aesthetic. It would feature a command hierarchy including a Commander class, parachute drops over enemy territory, networked voice communication, and numerous other innovations. The Commander class played similarly to a real-time strategy game, with the player viewing the game from a bird's-eye perspective and issuing orders to players and AI-controlled soldiers. Team Fortress 2 was first shown at E3 1999, where Valve showcased new technologies including parametric animation, which blended animations for smoother, more lifelike movement, and Intel's multi-resolution mesh technology, which dynamically reduced the detail of distant on-screen elements to improve performance. The game earned several awards including Best Online Game and Best Action Game. In mid-2000, Valve announced that Team Fortress 2 had been delayed for a second time. They attributed the delay to development switching to an in-house engine, the Source engine. Following the announcement, Valve stopped releasing information about Team Fortress 2 and the game entered six years of silent development. Walker and Cook worked on various other Valve projects; Walker was project lead on Half-Life 2: Episode One and Cook became a Steam developer. Team Fortress 2 became a prominent example of vaporware, a long-anticipated game that had seen years of development, and was often mentioned alongside another much-delayed game, Duke Nukem Forever. Walker later stated that Valve built "three to four different games" before settling on their final design. Shortly before the release of Half-Life 2 in 2004, Valve's marketing director Doug Lombardi confirmed that Team Fortress 2 was still in development. Valve reintroduced Team Fortress 2 at the July 2006 EA Summer Showcase event with a drastically different visual design. Departing from the realistic visual design of Valve games such as Half-Life 2, Counter-Strike: Source and Day of Defeat: Source, Team Fortress 2 features a cartoon-like visual style influenced by 20th-century commercial illustrations and the artwork of J. C. Leyendecker, Dean Cornwell, and Norman Rockwell, achieved through Gooch shading. The game debuted with the Source engine's new dynamic lighting, shadowing and soft particle technologies alongside Half-Life 2: Episode Two. It was the first game to implement the Source engine's new Facial Animation 3 features. Valve abandoned the game's earlier realistic style when it became impossible to reconcile it with the unrealistic gameplay, with opposing armies having constructed elaborate bases directly next to each other. The Commander class was abandoned as players would simply refuse to follow the player's orders. The art style was inspired by the artwork of J. C. Leyendecker, Dean Cornwell and Norman Rockwell. Valve designed each character, team, and equipped weapon to be visually distinct, even at range; for example, the coloring draws attention to the chest area, bringing focus on the equipped weapon. The voices for each of the classes were based on imagining what people from the 1960s would expect the classes to have sounded like, according to writer Chet Faliszek. The map design has an evil genius theme with archetypical spy fortresses, concealed within inconspicuous buildings such as industrial warehouses and farms to give plausibility to their close proximities; these bases are usually separated by a neutrally themed space. The bases hide exaggerated super weapons such as laser cannons, nuclear warheads, and missile launch facilities, taking the role of objectives. The maps have little visual clutter and stylized, almost impressionistic modeling, to allow enemies to be spotted more easily. The impressionistic design approach also affects textures, which are based on photos that are filtered and improved by hand, giving them a tactile quality and giving Team Fortress 2 its distinct look. The bases are designed to let players immediately know where they are. RED bases use warm colors, natural materials, and angular shapes, while BLU bases use cool colors, industrial materials, and orthogonal shapes. During the July 2006 Electronic Arts press conference, Valve revealed that Team Fortress 2 would ship as the multiplayer component of The Orange Box. A conference trailer showcasing all nine of the classes demonstrated for the first time the game's whimsical new visual style. Managing director of Valve Gabe Newell said that the company's goal was to create "the best looking and best-playing class-based multiplayer game". A beta release of the entire game was made on Steam on September 17, 2007, for customers who had pre-purchased The Orange Box, who had activated their Black Box coupon, which was included with the ATI HD 2900XT Graphics cards, and for members of Valve's Cyber Café Program. The beta continued until the game's final release. The game was released on October 10, 2007, both as a standalone product via Steam and at retail stores as part of The Orange Box compilation pack, priced at each gaming platform's recommended retail price. The Orange Box also contains Half-Life 2, Half-Life 2: Episode One, Half-Life 2: Episode Two, and Portal. Valve offered The Orange Box at a ten percent discount for those who pre-purchased it via Steam before the October 10 release, as well as the opportunity to participate in the beta test. Since the release of Team Fortress 2, Valve has continually released free updates and patches through Steam for Microsoft Windows, OS X, and Linux users; though most patches are used for improving the reliability of the software or to tweak gameplay changes, several patches have been used to introduce new features and gameplay modes, and are often associated with marketing materials such as comics or videos offered on the Team Fortress 2 website; this blog is also used to keep players up to date with the ongoing developments in Team Fortress 2. As of July 2012, each class has been given a dedicated patch that provides new weapons, items, and other gameplay changes; these class patches typically included the release of the class's "Meet the Team" video. Other major patches have included new gameplay modes including the Payload, Payload Race, Training, Highlander, Medieval, and Mann vs Machine modes. Themed patches have also been released, such as a Halloween-themed map with unique items available only during a set period around the holiday. Other new features have given players the ability to craft new items within the game, trade items with other players, purchase in-game items through funds in Steam, and save and edit replay videos that can be posted to YouTube. Valve has released tools to allow users to create maps, weapons, and cosmetic items through a contribution site; the most popular are added as official content for the game. This approach has subsequently created the basis for the Steam Workshop functionality of the software client. In one case, more than fifty users from the content-creation community worked with Valve to release an official content update in May 2013, with all of the content generated by these players. Valve reported that as of June 2013, over $10 million has been paid back to over 400 community members that have helped to contribute content to the game, including a total of $250,000 for the participants in the May 2013 patch. To help promote community-made features, Valve has released limited-time events, such as the "Gun Mettle" or "Invasion" events in the second half of 2015, also including the "Tough Break" update in December 2015, in which players can spend a small amount of money which is paid back to the community developers for the ability to gain unique items offered while playing on community-made maps during the event. Development of the new content had been confirmed (but later quietly cancelled) for the Xbox 360, while development for the PlayStation 3 was deemed "uncertain" by Valve. However, the PlayStation 3 version of Team Fortress 2 received an update that repaired some of the issues found within the game, ranging from graphical issues to online connectivity problems; this update was included in a patch that also repaired issues found in the other games within The Orange Box. The updates released on PC and planned for later release on Xbox 360 include new official maps and game modes, as well as tweaks to classes and new weapons that can be unlocked through the game's achievement system. The developers attempted to negotiate with Xbox 360 developer Microsoft to keep the Xbox 360 releases of these updates free, but Microsoft refused and Valve announced that they would release bundles of several updates together to justify the price. Because of the cost of patching during the seventh-generation of video game consoles, Valve has been unable to provide additional patches to the Xbox 360 version since 2009, effectively cancelling development of the console versions. On June 10, 2010, Team Fortress 2 was released for OS X, shortly after the release of Steam for OS X. The release was teased by way of an image similar to early iPod advertising, showing a dark silhouette of the Heavy on a bright green background, his Sandvich highlighted in his hand. Virtual earbuds, which can be worn when playing on either OS X or Windows once acquired, were given to players playing the game on OS X before June 14, though the giveaway period was later extended to August 16. On November 6, 2012, Valve announced the release of Team Fortress 2 for Linux as part of a restricted beta launch of Steam on the platform. This initial release of Steam and Team Fortress 2 was targeted at Ubuntu with support for other distributions planned for the future. Later, on December 20, 2012, Valve opened up access to the beta, including Team Fortress 2, to all Steam users without the need to wait for an invitation. On February 14, 2013, Valve announced the full release of Team Fortress 2 for Linux. From then to March 1, anyone who played the game on Linux would receive a free Tux penguin, which can be equipped in-game. Team Fortress 2 was announced in March 2013 to be the first game to officially support the Oculus Rift, a consumer-grade virtual reality headset. A patch will be made to the client to include a "VR Mode" that can be used with the headset on any public server. In Team Fortress 2 players can trade with other users for items such as weapons, cosmetics, weapon skins, and utilities. Weapons and utilities can change and affect gameplay in different ways, the main being; some weapons have different stats than others and thus allows a different playstyle. Cosmetic items, on the other hand, do not change game-play at all and simply change the player's in-game character's look. In late 2011, the gaming site Kotaku reported that the Team Fortress 2's trading economy was worth over $50 million. Additionally, many of the individual items have reached immense levels of real-world value, one character hat, in particular, being sold for over US$18,000. Third-party websites have been set up to help users trade, as well as track the value of the many in-game items within the Team Fortress 2 economy. Crate keys, crafting metal, and Earbuds (an in-game cosmetic item) have all been used as currency for other items such as weapons, cosmetics, and taunts due to their values. The logo for the in-game company, Mann Co.
On June 23, 2011, Valve announced that Team Fortress 2 would become free to play. Unique equipment including weapons and outfits would be available as microtransactions through the in-game store, tied through Steam. Walker stated that Valve would continue to provide new features and items free. Walker stated that Valve had learned that the more players Team Fortress 2 had, the more value it had for each player. The move came a week after Valve introduced several third-party free-to-play games to Steam and stated they were working on a new free-to-play game. Within nine months of becoming free to play, Valve reported that revenue from Team Fortress 2 had increased by a factor of twelve. Valve released promotional videos introducing the in-game characters. Shown here is the Scout's video. To promote the game, Valve released a ten-video advertisement series, "Meet the Team", starting in May 2007. Constructed using the game engine and using slightly more detailed character models, the series consists of short videos on individual characters, displaying their personalities and tactics. The videos are usually interspersed with clips of the character in combat in the game. The manners which these are presented have varied drastically: the first installment, "Meet the Heavy", depicted an interview with the gun-obsessed Eastern European while "Meet the Soldier" showed the Soldier giving a misinformed lecture on Sun Tzu to a collection of severed heads as if to raw recruits. The videos are generally released through Valve's services, though in one notable exception, the "Meet the Spy" video was leaked on YouTube during the "Sniper vs. Spy" update week. The "Meet the Team" videos are based on the audition scripts used for the voice actors for each of the classes; the "Meet the Heavy" scripts is nearly word-for-word a copy of the Heavy's script. More recent videos, such as "Meet the Sniper", contain more original material. 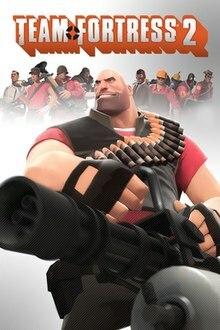 The videos have been used by Valve to help improve the technology for the game, specifically improving the facial animations, as well as a source of new gameplay elements, such as the Heavy's "Sandvich" or the Sniper's "Jarate". The final video in the Meet the Team series, "Meet the Pyro", was released on June 27, 2012. Newell has stated that Valve is using the "Meet the Team" shorts as a means of exploring the possibilities of making feature film movies themselves. He believes that only game developers themselves have the ability to bring the interesting parts of a game to a film, and suggested that this would be the only manner through which a Half-Life-based movie would be made. A fifteen-minute short, "Expiration Date", was released on June 17, 2014. The shorts were made using Source Filmmaker, which was officially released and has been in open beta as of July 11, 2012. In more recent major updates to the game, Valve has presented teaser images and online comic books that expand the fictional history of the Team Fortress 2, as part of the expansion of the "cross-media property", according to Newell. In August 2009, Valve brought aboard American comic writer Michael Avon Oeming to teach Valve "about what it means to have a character and do character development in a comic format, how you do storytelling". "Loose Canon", a comic associated with the Engineer Update, establishes the history of RED versus BLU as a result of the last will and testament of Zepheniah Mann in 1890, forcing his two bickering sons Blutarch and Redmond to vie for control of Zepheniah's lands between them; both have engineered ways of maintaining their mortality to the present, waiting to outlast the other while employing separate forces to try to wrest control of the land. This and other comics also establish other background characters such as Saxton Hale, the CEO of Mann Co., the company that provides the weapons for the two sides and was bequeathed to one of Hale's ancestors by Zepheniah, and the Administrator, the game's announcer, that watches over, encourages the RED/BLU conflict, and keeps each side from winning. The collected comics were published by Dark Horse Comics in Valve Presents: The Sacrifice and Other Steam-Powered Stories, a volume along with other comics created by Valve for Portal 2 and Left 4 Dead, and released in November 2011. Cumulative details in updates both in-game and on Valve's sites from 2010 through 2012 were part of a larger alternate reality game preceding the reveal of the Mann vs Machine mode, which was revealed as a co-op mode on August 15, 2012. Valve had provided other promotions to draw players into the game. Valve has held weekends of free play for Team Fortress 2 before the game was made free-to-play. Through various updates, hats and accessories can be worn by any of the classes, giving players an ability to customize the look of their character, and extremely rare hats named "unusuals" have particle effects attached to it are and are only obtainable through opening "crates" or trading with other players. New weapons were added in updates to allow the player to choose a loadout that best suits the player. Hats and weapons can be gained as a random drop, through the crafting/trading systems, or via cross-promotion: Limited-edition hats and weapons have been awarded for pre-ordering or gaining Achievements in other content from Steam, both from Valve (such as Left 4 Dead 2 and Alien Swarm) or other third-party games such as Sam & Max: The Devil's Playhouse, Worms Reloaded, Killing Floor, or Poker Night at the Inventory (which features the Heavy class as a character). According to Robin Walker, Valve introduced these additional hats as an indirect means for players to show status within the game or their affiliation with another game series simply by visual appearance. The Red Pyro, Heavy, and Spy all function as a single playable character in the PC release of Sonic and All-Stars Racing Transformed. The game's first television ad premiered during the first episode of the fifth season of The Venture Bros. in June 2013, featuring in-game accessories that were created with the help of Adult Swim. Team Fortress 2 received widespread critical acclaim, with overall scores of 92/100 on Metacritic. Many reviewers praised the cartoon-styled graphics, and the resulting light-hearted gameplay, and the use of distinct personalities and appearances for the classes impressed a number of critics, with PC Gamer UK stating that "until now multiplayer games just haven't had it." Similarly, the game modes were received well, GamePro described the settings as focusing "on just simple fun", while several reviewers praised Valve for the map "Hydro" and its attempts to create a game mode with variety in each map. Additional praise was bestowed on the game's level design, game balance and teamwork promotion. Team Fortress 2 has received several awards individually for its multiplayer gameplay and its graphical style, as well as having received a number of "game of the year" awards as part of The Orange Box. Although Team Fortress 2 was well received, its removal of class-specific grenades, a feature of previous Team Fortress incarnations, was controversial amongst reviewers. IGN expressed some disappointment over this, while conversely, PC Gamer UK approved, stating "grenades have been removed entirely—thank God". Some further criticism came over a variety of issues, such as the lack of extra content such as bots (although Valve has since added bots in an update), problems of players finding their way around maps due to the lack of a minimap, and some criticism of the Medic class being too passive and repetitive in his nature. The Medic class has since been re-tooled by Valve, giving it new unlockable weapons and abilities. ^ "Orange Box Goes Gold". Joystiq. September 27, 2007. Retrieved November 20, 2014. ^ "The Orange Box". Metacritic. Retrieved November 20, 2014. ^ a b "Vaporware: Better Late Than Never". Wired News. February 6, 2006. Archived from the original on January 10, 2009. Retrieved May 23, 2007. ^ a b Gerstmann, Jeff (October 11, 2007). "The Orange Box Review". GameSpot. Retrieved July 8, 2007. ^ a b c d e f Onyett, Charles (October 9, 2007). "Team Fortress 2 Review". IGN. Retrieved May 2, 2008. ^ a b c Wong, Steven (October 12, 2007). "Team Fortress 2 Review". GameDaily. Archived from the original on October 13, 2007. Retrieved May 2, 2008. ^ a b c d e f Francis, Tom (October 10, 2007). "PC Review: Team Fortress 2". PC Gamer UK. ComputerAndVideoGames.com. Archived from the original on October 11, 2007. Retrieved May 2, 2008. ^ a b c "Half-Life 2: Episode Two – The Return of Team Fortress 2 and Other Surprises". GameSpot. July 13, 2006. Retrieved July 8, 2015. ^ a b Berghammer, Billy (March 28, 2007). "Team Fortress 2 Hands-On Preview". Game Informer. Archived from the original on April 6, 2007. Retrieved April 13, 2007. ^ a b c Berghammer, Billy (March 27, 2007). "The Team Fortress 2 Interview: The Evolution". Game Informer. Archived from the original on April 6, 2007. Retrieved April 13, 2007. ^ "Team Fortress 2 Badlands preview". Shacknews. January 14, 2008. Retrieved January 21, 2008. ^ "Team Fortress 2 – The Administrator". Valve Corporation. December 9, 2009. Retrieved December 29, 2011. ^ "Ellen McLain". Internet Movie Database. Retrieved July 26, 2009. ^ "Team Fortress 2 Interview". IGN. April 10, 2007. Retrieved August 19, 2007. ^ "Team Fortress 2 February 28, 2008 Team Fortress 2 update". Valve Corporation. February 28, 2008. Retrieved October 16, 2009. ^ Francis, Tom (January 22, 2008). "Team Fortress 2 Gets Unlockable Weapons". PC Gamer UK. Computer and Video Games. Archived from the original on January 24, 2008. Retrieved March 2, 2008. ^ Scholz, Sven. "Capture The Flag – CTF – Maps « Article « Team Fortress 2 – TF2 – TFC – TFPortal". www.tfportal.de (in German). Retrieved November 16, 2017. ^ "Team Fortress 2 – Gold Rush Update". www.teamfortress.com. Retrieved November 16, 2017. ^ "Team Fortress 2 – Classless Update". www.teamfortress.com. Retrieved November 16, 2017. ^ "Team Fortress 2 – The Sniper Update". www.teamfortress.com. Retrieved November 16, 2017. ^ "Team Fortress 2 (Game) – Giant Bomb". Giant Bomb. Retrieved November 16, 2017. ^ "Team Fortress 2 – A Heavy Update". www.teamfortress.com. Retrieved November 16, 2017. ^ "Team Fortress 2 – "Mannpower Mode Beta"". www.teamfortress.com. Retrieved November 16, 2017. ^ Crecente, Brian (August 19, 2015). "Team Fortress 2 gets beta rugby mod from the studio behind Star Wars, Star Trek movies". Polygon. Retrieved November 16, 2017. ^ "Team Fortress 2 – Australian Christmas". www.teamfortress.com. Retrieved November 16, 2017. ^ "Team Fortress 2 – Mann vs. Machine". www.teamfortress.com. Retrieved November 16, 2017. ^ "Team Fortress 2 – Mann Up! FAQ". www.teamfortress.com. Retrieved November 16, 2017. ^ "Team Fortress 2 – Hatless Update". www.teamfortress.com. Retrieved November 16, 2017. ^ Goldfarb, Andrew (October 26, 2012). "Team Fortress 2 Halloween Update Adds Zombies". IGN. Retrieved November 7, 2012. ^ Peel, Jeremy (November 12, 2013). "Don't give up the ghost: Team Fortress 2 update enables Halloween all year round". PC Gamer. Retrieved November 12, 2013. ^ "A Heavy Problem". Team Fortress 2. July 1, 2008. Retrieved September 28, 2008. ^ "Meet the Scout". Team Fortress 2. Valve Corporation. Retrieved April 20, 2008. ^ a b "Meet the Soldier". Team Fortress 2. Valve Corporation. Retrieved November 10, 2007. ^ a b c d e f Goldstein, Hilary (May 23, 2007). "Team Fortress 2: Class Warfare". IGN. Retrieved September 21, 2007. ^ a b "Pyro Update". Team Fortress 2. Valve Corporation. Retrieved June 18, 2008. ^ "Meet the Demoman". Team Fortress 2. Valve Corporation. Retrieved November 10, 2007. ^ a b c "Meet the Heavy". Team Fortress 2. Valve Corporation. Retrieved November 10, 2007. ^ "Meet the Engineer". Team Fortress 2. Valve Corporation. Retrieved November 10, 2007. ^ Jungels, Jakob (July 3, 2008). "TF2 Trading Cards – Part 2". Team Fortress 2. Valve Corporation. Retrieved July 5, 2008. ^ a b "Gold Rush Update". Team Fortress 2. Valve Corporation. April 29, 2008. Retrieved May 1, 2008. ^ "Meet the Sniper". Team Fortress 2. Valve Corporation. Retrieved June 17, 2008. ^ "ValveTime on Twitter". twitter.com. ^ "ESEA League Season 24 Prize Breakdown". ESEA. April 6, 2017. Retrieved August 16, 2018. ^ "ESEA League Season 25 Prize Breakdown". ESEA. July 20, 2017. Retrieved August 16, 2018. ^ "ESEA League Season 26 Prize Breakdown". ESEA. October 23, 2017. Retrieved August 16, 2018. ^ Dransfield, Ian (April 28, 2015). "Matchmaking is coming to Team Fortress 2". PC Gamer. Retrieved September 9, 2015. ^ Saed, Sharif (February 19, 2016). "Team Fortress 2 finally getting competitive matchmaking". VG247. Retrieved February 19, 2016. ^ O'Conner, Alice (July 8, 2016). "Team Fortress 2 Launches Matchmaking". Rock Paper Shotgun. Retrieved July 8, 2016. ^ Sarkar, Samit (July 6, 2016). "Team Fortress 2 update adding matchmaking, ranked play and more". Polygon. Retrieved July 6, 2016. ^ Dunkin, Alan (June 1, 1998). "Team Fortress Full Speed Ahead". GameSpot. Retrieved June 12, 2006. ^ "Team Fortress Classic (overview)". Planet Half-Life. Archived from the original on January 3, 2007. Retrieved December 2, 2006. ^ "About Team Fortress Classic". PlanetFortress. Archived from the original on December 13, 2006. Retrieved December 2, 2006. ^ a b "Past Winners". GameCriticsAwards.com. Retrieved March 24, 2008. ^ a b "Team Fortress 2: Technology". PlanetFortress. Archived from the original on June 1, 2007. Retrieved April 5, 2007. ^ Park, Andrew Seyoon (June 21, 2000). "New Engine for Team Fortress 2". GameSpot. Retrieved May 26, 2017. ^ "Orange Box Interview". GameTrailers. August 29, 2007. Archived from the original on September 26, 2007. Retrieved August 29, 2007. ^ Berghammer, Billy (May 26, 2006). "Half-Life 2: Episode One Hands-On, Details, And Extensive Video Interview". Game Informer. Archived from the original on May 16, 2008. Retrieved May 5, 2008. ^ "Friends 3.0 Pre-beta Interview". The Steam Review. January 26, 2006. Retrieved May 5, 2008. ^ Berghammer, Billy (March 26, 2007). "The History Of Team Fortress 2". Game Informer. Archived from the original on April 3, 2007. Retrieved April 5, 2007. ^ Roper, Chris (July 14, 2006). "Team Fortress 2 Teaser Impressions". IGN. Retrieved July 19, 2006. ^ Mitchell, Jason; Francke, Moby; Eng, Dhabih (January 1, 2007). "Illustrative Rendering in Team Fortress 2" (PDF). Proceedings of the 5th International Symposium on Non-photorealistic Animation and Rendering. ACM: 71–76. doi:10.1145/1274871.1274883. Retrieved May 6, 2017. ^ Ruymen, Jason (May 14, 2007). "Face-to-face with Team Fortress 2's heavy". Valve Corporation. Archived from the original on February 21, 2008. Retrieved May 5, 2008. ^ a b Valve Corporation. Team Fortress 2. PC. Level/area: In-game development commentary. ^ a b Hellard, Paul (December 1, 2007). "Visual Design, Comic Game Action, with a purpose". CGSociety. Retrieved March 18, 2008. ^ Reeves, Ben (March 12, 2010). "Writer's Block: Portal 2 Writers Roundtable". Game Informer. Retrieved March 13, 2010. ^ Hatfield, Daemon (September 11, 2007). "Team Fortress 2 Beta Begins Next Week". IGN. Retrieved May 5, 2008. ^ McElroy, Justin (September 18, 2007). "Team Fortress 2 beta now available". Joystiq. Retrieved May 5, 2008. ^ Bokitch, Chris (September 18, 2007). "Team Fortress 2 beta now open". Valve Corporation. Archived from the original on October 12, 2007. Retrieved May 5, 2008. ^ "Steam News — Team Fortress 2 Blog Available". June 19, 2008. Retrieved June 21, 2008. ^ "Steam announcement of updates (Meet the Sniper and Pyro unlockables)". ^ Cherlin, Greg (April 2, 2009). "Wave goodbye to yer head, wanker". Team Fortress 2. Valve Corporation. Retrieved April 3, 2009. ^ "Team Fortress 2 – Sniper vs. Spy Update". Valve. May 13, 2009. Retrieved May 21, 2009. ^ a b McDougall, Jaz (June 11, 2010). "Team Fortress 2 adds training mode, Mac support". PC Gamer. Retrieved January 15, 2011. ^ Bailey, Kat (February 4, 2010). "Valve Adds Highlander Mode to Team Fortress 2". 1UP.com. Archived from the original on October 17, 2012. Retrieved January 15, 2011. ^ Chalk, Andy (December 21, 2010). "Valve Celebrates the Miracle of Australian Christmas". The Escapist. Retrieved January 15, 2011. ^ a b "Team Fortress 2 – Mann vs. Machine". Valve Corporation. August 13, 2012. Retrieved August 13, 2012. ^ Jackson, Mike (October 10, 2010). "Team Fortress Halloween update adds 'Headless Horsemann'". Computer & Video Games. Archived from the original on June 6, 2013. Retrieved August 13, 2012. ^ Chalk, Andy (December 14, 2009). "Valve Brings Crafting to Team Fortress 2". The Escapist. Retrieved January 15, 2011. ^ O'Conner, Alice (August 10, 2010). "Team Fortress 2 Getting Item Trading, Oodles of New Items Next Month". Shacknews. Retrieved January 15, 2011. ^ Frushtick, Russ (September 30, 2010). "'Team Fortress 2' In-Game Store Launches, Here's How It Works". MTV. Retrieved January 15, 2011. ^ Rose, Mike (May 6, 2011). "Team Fortress 2 Update Adds Replay Editor". Gamasutra. Retrieved May 6, 2011. ^ "Team Fortress 2 Update Released". Valve Corporation. March 18, 2010. Retrieved April 6, 2010. ^ "Nice goin', pardner". Team Fortress 2. Valve Corporation. March 18, 2010. Retrieved April 6, 2010. ^ "Yo, a little help here?". Team Fortress 2. Valve Corporation. January 13, 2010. Retrieved April 6, 2010. ^ "Team Fortress 2 Contribute". Team Fortress 2. Valve Corporation. April 2, 2009. Retrieved April 6, 2010. ^ McWhertor, Michael (May 17, 2013). "Team Fortress 2's latest update, Robotic Boogaloo, is totally community-made". Polygon. Retrieved May 17, 2013. ^ Nunneley, Stephany (June 12, 2013). "Team Fortress 2 community members have made $10 million". VG247. Retrieved June 12, 2013. ^ Mejia, Ozzie (July 1, 2015). "Team Fortress 2 begins its three-month Gun Mettle Campaign tomorrow". Shack News. Retrieved July 2, 2015. ^ Hillier, Brenna (July 2, 2015). "Team Fortress 2 Gun Mettle update delivers rare guns, weekly challenges from tomorrow". VG24/7. Retrieved July 2, 2015. ^ Prescott, Shaun (July 2, 2015). "Team Fortress 2 update ushers in contracts, new maps and more". PC Gamer. Retrieved July 2, 2015. ^ Cox, Matt (October 6, 2015). "Team Fortress 2 Invasion update lands today". PC Gamer. Retrieved October 13, 2015. ^ "Team Fortress 2 360 DLC Details Due 'Pretty Soon,' Fate of PlayStation 3 Content Uncertain". Shacknews. May 21, 2008. Retrieved May 21, 2008. ^ "The Orange Box PS3 Patch Released". March 20, 2008. Retrieved December 23, 2008. ^ Park, Andrew. "Team Fortress 2 Updated Hands-On — Goldrush, New Achievements, New Items". GameSpot. Retrieved July 8, 2015. ^ Loftus, Jack (March 5, 2008). "Valve wants free Team Fortress 2 expansions". GamePro. Archived from the original on March 8, 2008. Retrieved March 23, 2008. ^ Faylor, Chris (August 22, 2008). "Valve Bringing Team Fortress 2 Updates to Xbox 360, Being Forced to Charge Gamers". Shacknews. Retrieved October 16, 2008. ^ Francis, Tom (September 9, 2010). "Interview: Valve on 13 things they've failed at". PC Gamer. Retrieved October 16, 2016. ^ Faylor, Chris (March 3, 2010). "Valve Teases Announcement with Mystery Images; Steam Coming to Mac?". Shacknews. Retrieved January 15, 2011. ^ "Wow, you guys are GOOD". Valve Corporation. June 10, 2010. Retrieved June 10, 2010. ^ "Team Fortress 2 – The Mac Update! – Earbuds". Valve Corporation. June 2010. Retrieved September 30, 2010. ^ "Steam for Linux Beta Now Available". Valve Corporation. November 6, 2012. Retrieved November 8, 2012. ^ "Steam for Linux Beta Now Available to All". Valve Corporation. December 20, 2012. Retrieved January 13, 2013. ^ "Team Fortress 2 is now on Linux". Team Fortress 2. Valve Corporation. February 14, 2013. Retrieved February 14, 2013. ^ Gilbert, Ben (March 18, 2013). "Valve's Team Fortress 2 is Oculus Rift's first game, free 'VR Mode' update coming soon". Engadget. Retrieved March 18, 2013. ^ Good, Owen. "Analyst Pegs Team Fortress 2 Hat Economy at $50 Million". Kotaku. Retrieved March 11, 2013. ^ "The most ridiculous virtual items people buy with real money". news.com.au. ^ Bowman, Mitch (May 22, 2014). "The hidden world of Steam trading". Polygon. Archived from the original on May 26, 2015. Retrieved January 6, 2016. ^ a b c Crossley, Rob (June 23, 2011). "Valve: Team Fortress 2 is free forever". Develop. Archived from the original on June 27, 2011. Retrieved June 23, 2011. ^ Funk, John (June 20, 2011). "Valve Says It's Working on a Free-to-Play Game". The Escapist. Retrieved June 20, 2011. ^ Miller, Patrick (March 7, 2012). "GDC 2012: How Valve made Team Fortress 2 free-to-play". Gamasutra. Retrieved August 24, 2012. ^ Fahey, Mike (May 16, 2009). "Meet the Spy, Quite The Ladies Man". Kotaku. Retrieved May 17, 2009. ^ Walker, Robin (May 18, 2009). "Getting to the bottom of things". Team Fortress 2. Valve Corporation. Retrieved May 20, 2009. ^ a b Tolito, Stephan (May 31, 2009). "Valve Dreams Of Team Fortress 2 Movie, Divulges 'Meet The Team' Origins". Kotaku. Retrieved May 31, 2009. ^ "It's Finally Time to Meet the Pyro". Kotaku.com. June 27, 2012. Retrieved November 9, 2012. ^ "Meet the Truly Demented Mind of the Pyro". Gameverse. June 27, 2012. Retrieved November 9, 2012. ^ Parkin, Simon (August 30, 2010). "Newell: Game-Makers Are Best Equipped To Turn Games Into Movies". Gamasutra. Retrieved August 30, 2010. ^ Lahti, Evan (June 18, 2014). "Valve releases 15-minute Team Fortress 2 "Expiration Date" short for Love and War update". PC Gamer. Retrieved May 30, 2016. ^ Daw, David (July 12, 2012). "Trying Out Valve's Movie Making Tools With the Source Filmmaker". Retrieved July 13, 2012. ^ a b O'Conner, Alice (August 14, 2009). "Valve Talks Team Fortress 2 Comic Book Plans, Movie and TV Show Possibilities". Shacknews. Retrieved July 8, 2010. ^ Chalk, Andy (July 5, 2010). "TF2 Update: The Engineer With the Golden Wrench". The Escapist. Retrieved July 8, 2010. ^ Funk, John (December 9, 2009). "Valve Teases TF2 Demoman and Soldier Updates". The Escapist. Retrieved July 8, 2010. ^ Rose, Mike (July 11, 2011). "Comic Book Based On Valve Strips Coming This November". Gamasutra. Retrieved July 11, 2011. ^ Good, Owen (August 12, 2012). "Team Fortress 2's Gray Mann Surfaces as Signs Point to All-Robot Faction". Kotaku. Retrieved August 13, 2012. ^ Hillier, Brenna (August 12, 2012). "Team Fortress 2 to add third, robotic faction – rumour". VG247. Retrieved August 13, 2012. ^ "Valve Interview Part 2: Left 4 Dead Demo Potential, the Evolution of Steam, and More". Shacknews. May 23, 2008. Retrieved July 2, 2008. ^ "Pre-Order Giveaway Madness!". Valve Corporation. November 2, 2009. Retrieved September 30, 2010. ^ "Free Hats!". Valve Corporation. October 6, 2010. Retrieved October 6, 2010. ^ Francis, Tom (August 20, 2010). "Valve on the future of Team Fortress 2. Part Two". PC World. Retrieved August 20, 2010. ^ Hamilton, Kirk (June 3, 2013). "Team Fortress 2 Gets Its Very Own TV Commercial". Kotaku. Retrieved June 3, 2013. ^ a b "Team Fortress 2 (PC: 2007): Reviews". Metacritic. Retrieved September 1, 2008. ^ Elliot, Shawn (October 10, 2007). "Team Fortress 2 PC Review". 1UP.com. Archived from the original on May 23, 2011. Retrieved May 2, 2008. ^ Bradwell, Tom (October 10, 2007). "Team Fortress 2 Review". Eurogamer. Retrieved May 2, 2008. ^ Watters, Chris (May 3, 2008). "Team Fortress 2 for PC review". GameSpot. Retrieved July 8, 2015. ^ Accardo, Sal (October 10, 2007). "Team Fortress 2 Review". GameSpy. Retrieved May 2, 2008. ^ "Team Fortress 2 Review". GamesRadar. Retrieved April 24, 2015. ^ Burt, Andy (October 10, 2007). "The Orange Box Review". GamePro. Archived from the original on October 11, 2007. Retrieved May 2, 2008. ^ "GameSpy's Game of the Year 2007: Team Fortress 2". GameSpy. Archived from the original on December 23, 2007. Retrieved December 22, 2007. ^ "2007 1UP Network Editorial Awards". 1UP.com. Archived from the original on July 15, 2012. Retrieved February 18, 2008. ^ "GameSpy Game of the Year 2007: Multiplayer". GameSpy. Archived from the original on December 23, 2007. Retrieved April 6, 2008. ^ "GameSpy's Game of the Year 2007: Special Awards". GameSpy. Archived from the original on December 23, 2007. Retrieved April 6, 2008. ^ "IGN Best of 2007: PC — Best Artistic Design". IGN. Archived from the original on November 17, 2013. Retrieved February 18, 2008. ^ "11th Annual Interactive Achievement Awards". AIAS. Archived from the original on March 19, 2008. Retrieved April 24, 2008. ^ "Spike TV Announces 2007 'Video Game Awards' Winners". Spike TV. December 7, 2007. Archived from the original on December 13, 2016. Retrieved July 8, 2015. ^ Booth, Mike (December 21, 2009). "Erectin a dispenser". Valve Corporation. Retrieved January 22, 2010. Wikimedia Commons has media related to Team Fortress 2.